Clear Casting Resin - Industrial Plasters Ltd.
Clear Casting Resin is a water-clear casting resin used to produce clear castings and for embedding and encapsulations applications. Also can be used as a general purpose casting resin and heavily filled without losing viscosity. When requiring a clear cast this material can only be cast in a minimum of 5mm and maximum of 20mm at a time. However you can easily build it up in layers to achieve whatever thickness you require. 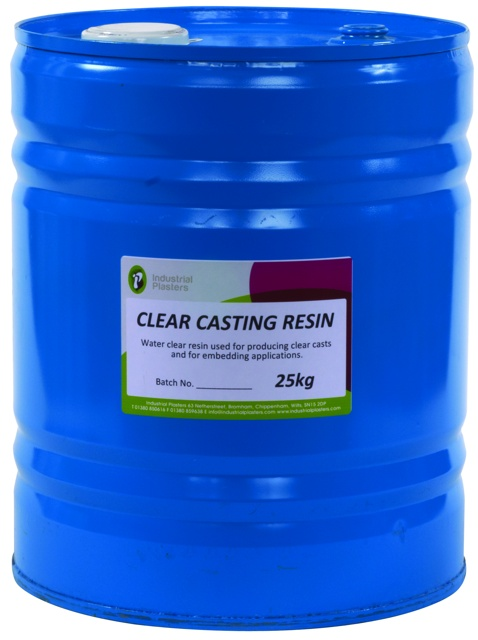 This Clear Casting Resin is a pre-accelerated low reactivity orthophthalic acid based resin with a very gradual cure. The product has a low peak exotherm combined with a low polymerisation shrinkage and high brilliance after polymerisation. This resin is UVlight stabilised.